People who live on the street are usually totally ignored. They become part of the “street furniture”, and so often get no more attention than regular street furniture. If only we knew the circumstances that put them on the street. If only we knew why living on the street was deemed to be their best option. If only we knew why they chose a life style that involved rejection on a daily basis. Most of us are not likely to experience what they are experiencing, but we could at least try and understand that there must have been a very compelling reason for them to be on the street. Just imagine that you were given a special project … to spend just two full days (from Friday evening through to Sunday evening) in the downtown core/center of a large city/town, just with whatever clothes you were wearing and no money! In so many passing eyes. Do I make them feel uncomfortable? Perhaps I am simply despised? Which surrounds me this night. I clearly have so much to learn. Are there any Good Samaritans? Why is there no show of concern? They’re wrapped up in their lives. People who live on the street. But… this was my choice. A test if you wish. To add experience to my voice. I am lucky and I know it. I do have a home. And I can leave here whenever I choose. Unlike many… l am not alone. There are reasons behind such a move. But… is life ever what it seems? Sitting in their sidewalk home. To live in such a way. Treat them as people, for that’s who they are. To affirm that they really do exist. Be friends for a short while. And when you say farewell. When you leave and go to your home. Are living on the streets… alone. i came here on a recommendation from Carolyn of “Nuggets of Gold”, and happy I stopped to read, you captured the helplessness and hopelessness of a person forced to sleep on the streets and every word so beautifully timed against the next. As I told Carolyn, her blog post and your words reminded me of a poem i wrote about a homeless man a long time ago. some people choose to leave their families and are homeless, and some leave and forget they have a family, the old and confused for example. Everyone needs to have a home and know home is waiting for them no matter what they have done in the past or still are. Your poem is so very touching, it is gentle and flows deep into the heart. my pleasure Colin and it did, I will do so as I see you have an affection for dogs too. I feel this is an important message to awareness of the everyday plight of so many people. I was especially touched by the poem! Wow! Such a perfect and powerful way to shine a light on the forgotten. I reposted this message on my blog…. Reflectionsbyexodushouseministries.wordpress.com . I felt it needed to be there. Be Blessed and keep up the great work! So glad it resonated with you Andrea. Reposting on your own Blog is not a problem as that will give this topic more exposure. Many thanks. A beautiful and heartfelt post from a fellow blogger with a lot on his mind…..and an important message for everyone! Just food for thought….and inspiration for action. Be Blessed!🙌 Andrea. My blessed honor and pleasure, sir! With some 7,000 homeless on our local street, some are defiant “outlaws”, some down on their luck, some mentally ill, some druggies/alcoholics, some just hopeless – society must intervene. this is a humanitarian crisis, The longer they are living on the edge on the streets, the less likely they are able to re-enter normal life and society. New lower cost tiny houses offer a solution – money could be diverted from less crisis situations (like funding art)/over seas aid until local people are brought in from the streets. Shelters MUST change policies preventing pets from staying with owners – or offer kennel space very close by. Many homeless will not abandon their animal friends/family. Understandable. Thanks for sharing those thoughts. There are so many examples of people being helped off the street and, with some appropriate guidance, become self supporting and contributing members of society. So many people, however, cannot see beyond the person on the street. In my “former” life, interacting with those who resided in the “open air” was a daily matter (at least while working uniform patrol). Some of the encounters were brief and violent but those were , by far, in the minority. Most were to offer help to someone who needed it immediately. I found many of them to be educated, articulate, fathers, mothers, brothers and sisters, veterans, young and old, and inevitably, poor decision makers. Life can be hard but it doesn’t have to be without hope. Than you Mike for an excellent perspective. They really are no different from us, except that somewhere along the road they made some bad choices. To my husband’s horror, I began talking with a man begging outside of a supermarket. He was using a dog he’d found (lots of strays around) as a draw. I gave him some stuff for the dog and asked him why he was there. The man was elderly like me, unshaven, unkempt and very polite. He did not seem to be a drunk or a druggie. His story was that a partner had embezzled all the money out of his business (a sort of fly-by-night removals carrier), and the first he knew of it was when creditors came pounding on his door. His partner fled the country, leaving him destitute. The country was not his own, so there was no recourse to social care services and he became a street person. He likely did not tick legal boxes when he had his business, or his house (an illegal build) and now he had no recourse but to rely on the charity of others. I patted the dog (a small Italian Greyhound) and wished him luck. His smile showed that my little bit of kind conversation had made his day so much brighter. Even if you can’t give much money, giving a moment of your time to a street person is a lovely gift. No one wants to feel like they don’t matter. Interestingly, as I chatted with him, more people came, patted the dog, gave it a treat or some food for it to the man. But they also gave him reprimanding looks for using a dog to beg. The dog was untrained, a rope for a lead and not particularly concerned with the man. But it wasn’t frightened, nor was it hungry of thirsty. The man told me that he had picked it up only a few days before. ” I try to socialise them,” he said. “She’s only about six months old, I call her Bella.” He had patted her gently. “I will take her to the dog shelter soon. There she will likely be adopted, because this gets her used to being petted all day so she will gravitate to people instead of being wary.” I was impressed by his kindness to the dog. And impressed that he saw the stray population as similar to his own circumstances…the ‘forgotten,’ fallen on hard times. Seeing a person living on the street with a dog is not uncommon here, and can be mutually beneficial. It is so easy to criticize a situation when one not only does not understand the circumstances that presented the situation, but also when one is so self-focused that there is no desire to even try and understand. A very sad state of our society. Indeed Colin. By the way, there was a second level comment I made on the dog that the man was begging with… It was such a revelation. Yup ….. got it! 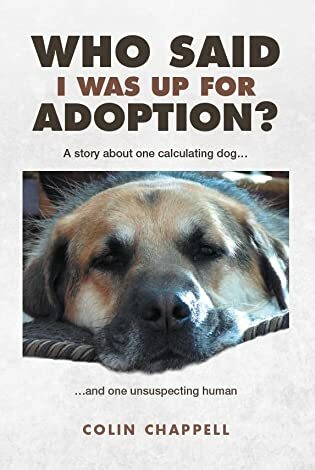 A wonderful story for dog lovers. Mine too Colin. Second chances, third and fourth chances too. I am so grateful for the people who have helped me to get back up again. No matter how small the gesture, it restores one’s faith in humanity. Wonderful piece Colin. I had this conversation with several people i know. Some of them fear speaking or acknowledging those on the street. A friendly hello, may be met with hostility that leads to a confrontation. Myself? I speak to them anyway, I give when I can. Some are not there by choice. Thank you Colin, for bringing light to the subject. Hi Ron, and thank you. One of their basic needs is so often just to be affirmed as people. It’s bad enough to be living under such conditions, but to then be shunned by society? They may have made some bad choices in their past, but that should not dictate totally ignoring them. Yes, one or two may respond to attention with hostility but, from their perspective, why not? They have probably experienced a history of abuse and rejection so, if hostility is obvious, then walk away knowing that you at least made an effort. Always a pleasure to hear from you Ron. This poem moved me once again. Especially your last word in your last line, “alone”. I can’t imagine being all alone. Emotionally that would be so hard to endure and then having to deal physically with living on the street. Enduring the extreme heat, cold, rain, hunger. It’s so sad, and so true, that even though we don’t know their story we still can take the time to acknowledge them and give them a smile. A smile is such a simple thing, but yet I can’t imagine going through a day without it. Seeing no one’s face light up with a smile would feel so strange. It could be very warm outside, but the world would feel oh so cold. Sadly, so many people will simply not “see” them, which is nothing more than blocking out the unpleasant realities of our society. We can all close our eyes to them, but that does absolutely nothing to change anything and, as a Christian based culture … how do we justify ignoring them, or anybody else who clearly has difficulties? For anybody who claims to be Christian, the question “What would Jesus do?” becomes very relevant. I have to agree with all you said. We can’t justify it, there is no justification for ignoring them! The Jesus I know wouldn’t pass them by pretending not to see. He would look them directly in the eye with the warmth of his heart pouring out and letting them know that they are important, that they are somebody. He would take the time to listen to their story while sharing a meal. Christians are called to be the hands and feet of Jesus, but sadly so many act like they don’t know what that means. “They just don’t see…/// People like me…”, as well as the closing 2 lines are so neatly crafted. An interesting “project” for sure.